Many of their readers are chief executives, trustees and senior managers in charities, voluntary organisations and social enterprises. Others are parliamentarians, lawyers, finance professionals and private sector executives concerned with corporate responsibility. 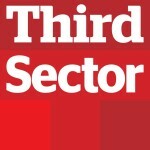 Third Sector offers unrivaled coverage of the whole range of voluntary sector concerns through the printed magazine, the website, and a range of conferences and events. Find out more here now. Print Social is a new crowdfunding platform that enables charities and fundraisers to collect donations in exchange for custom printed t-shirts, garments and other merchandise without any upfront cost or the need to hold stock. Products are retailed on a time limited basis then printed and dispatched by us once the sale period ends. We’ll even set up your product pages and provide you with free garment images leaving you with more time to promote the campaign to potential donors. Our dedicated team has over 15 years’ experience printing for everyone from independent fashion houses to global brands. We’ve also managed to cultivate a large network of artists should you need assistance with your designs. Our platform is unique as it offers the same profit margins you would expect from buying in bulk whilst foregoing the hassle of holding stock or paying hundreds of pounds upfront for printed merchandise you may not sell. If you would like to try us out, see case studies of other charities who have used the platform or get more details about how Print Social works please get in touch here. Scrutton Bland Insurance Brokers have a dedicated division that specialises in the provision of insurance and risk management solutions for charities, social enterprises and care organisations. Our charity insurance specialists will be discussing how the insurance industry has reacted to the increasing threat around cyber security and advising on solutions which are available to further protect charity. Find out more here now. Roots HR CIC are the UK’s specialist consultancy for human resources and H&S services for the social sector. They deliver high quality consultancy services to charities, voluntary and community groups, social enterprises and any other social sector organisation. Roots HR enables organisations to improve performance and sustainability through better people management, ensuring an understanding of and compliance with employment legislation and freeing organisational resources for frontline service delivery. As a social enterprise, they provide affordable services designed to attract and engage the sector rather than to maximise profit. Trading surpluses are used to further the management of people within social sector workforces through activities such as the provision of Roots HR’s own 1 hour free scheme and the NCVO member advice line, plus development opportunities for the sector’s leaders and managers. We exist to help trustees, staff and volunteers of small charities access the skills, tools, and information they need to get going and do what they do best. We’re about building effective and lasting relationships with people and organisations from all sectors so that together we can lend a helping hand and allow the thousands of small charities across the UK to reach their full potential. Through our personalised services we aim to get the right people talking to each other. We believe that by building these bonds and spreading the resources and skill sets through free advice, affordable training and other useful services, many small charities can really thrive. It’s this ethos that allows the Small Charities Coalition to really empower small charities to provide core services that tackle those rare diseases, combat those difficult social issues and address those neglected causes. Find out more here now. Searching for experienced volunteers? Work for a charity or have clients in the sector? The Institute of Chartered Accountants in England and Wales (ICAEW) can help.icaewvolunteers.com is completely free to search or post volunteer opportunities, or find volunteers with specialist finance and business skills. Come along to the Better Impact stand on 28th June and learn how our Volunteer Management Software can help you manage your volunteers more efficiently, giving you more time to focus on engagement and strategic planning. See Volunteer Impact in action, from online volunteer applications direct into the system (no more hard copy application forms), to rota management, quick reporting and easy communications management, Volunteer Impact has it all. If we don’t get to see you, check out our website to sign up for a free trial – www.betterimpact.co.uk. Be Inspired Films is a multi-award winning creative agency supporting social purpose organisations like yours to capture the emotion and impact of your work in a way that inspires customers and supporters at scale. For memorable TV adverts, powerful online content or to extend the reach and engagement of your events by live streaming your content to a national and international audience – we are here to help. Our sister company VideoKnowHow Academy has trained close to 1000 staff inside organisations like yours to use the power of video to engage and inspire your audience through good quality UGC (user generated content). Get in touch today and let’s start telling your story! If you want to sponsor Charityfair, give Shireen a call on 020 7697 4109 or email her at smustafa-johal@dsc.org.uk.